In addition to the unveiling of the new Nvidia Shield Console earlier this week at GDC 2015, offering gamers the very first 4K Ultra HD gaming console. Snakebyte has also this week taken the wraps off their new games console in the form of the QEUS smart TV box. 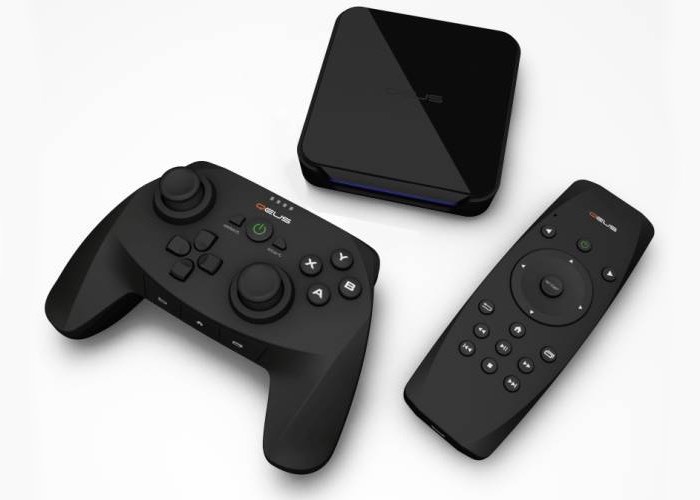 The QEUS smart TV box is powered by a Rockchip RK3288 ARM Cortex-A17 quad-core processor supported by 2GB of RAM and comes supplied with a games controller and a remote control providing a full QWERTY keyboard that is equipped with 6-axis sensor for motion control. Other features of the Snakebyte QEUS Smart TV Box include a 5.1 channel audio, HDMI 2.0 output as well as connectivity provided by Bluetooth and 802.11b/g/n WiFi. As well as a handy microSD card slot for further storage expansion when required. The QEUS will be supplied running and Android based operating system providing access to the Google Play Store but also access to a gamestore powered by Nexway. The QEUS is expected toi launch during the summer months of 2015 and be priced under $100. For more information on the new Snakebyte QEUS Smart TV Box jump over to the Snakebyte website for details via the link below.